Use your imagination! Create the perfect flogger, stinger for your Mistress or Master or yourself. 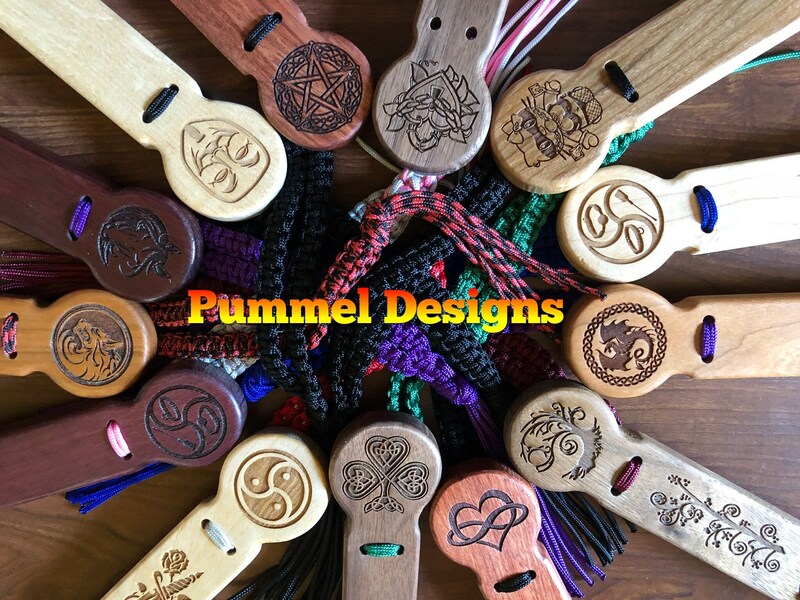 Pick the wood you want, the pummel design, and the color(s) of the fall. These stingers have 7” hardwood handles and the fall is 72 strands of nylon cord with sealed tips. Send a convo and together we will create a one of a kind “Little Nasty” that will delight all and make a statement at your next event or party.